Heidi Heitkamp is the junior senator from North Dakota. She is the first female senator ever elected from North Dakota, and took the oath of office on January 3, 2013. Senator Heitkamp grew up in a large family in the small town of Mantador, ND. Alongside her six brothers and sisters, she learned the value of hard work and responsibility, leading her to choose a life of public service. As a crime-fighting attorney general, she battled drug dealers, protected senior citizens from scams, and worked to keep sexual predators off streets and away from kids, even after their prison terms are up. Her reputation as an advocate for the people grew when she served as a leader in the national settlement with the tobacco companies that required them to tell the truth about smoking and health, and pay restitution to the states. As a director of the one-of-a-kind Dakota Gasification synfuels plant, Senator Heitkamp has a long record of serving as a champion for North Dakota’s energy industry. 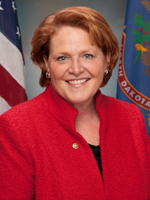 Senator Heitkamp sits on the Senate Agriculture Committee and Committee on Indian Affairs. 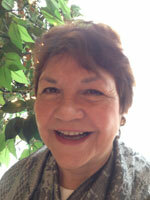 She also serves on the Banking, Small Business and Homeland Security and Governmental Affairs committees. 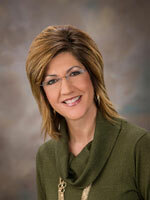 Heidi lives in Mandan with her husband, Dr. Darwin Lange, a family practitioner. They have two children, Ali and Nathan. Sister Thomas Welder, a native of Bismarck, North Dakota, and a member of the Benedictine Sisters of Annunciation Monastery, has served Mary College, now the University of Mary, since 1963. In 1978 she assumed her role as president. 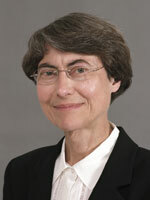 Retiring as president as of July 1, 2009, she currently serves as president emerita in the area of public affairs. She attended the College of St. Benedict, graduated from the College of St. Scholastica, Duluth, and earned a master’s degree in music from Northwestern University in Evanston, Illinois. Sister Welder is an active participant on boards and in community organizations including service as a director of St. Alexius Medical Center and a past board member of MDU Resources Group, Inc. She also serves on the board of trustees of Missouri Slope Areawide United Way. 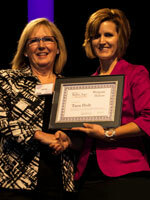 Tara Holt has a background in technology, home-based business, and economic development with a focus on women, rural economics, and community development. 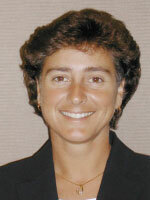 She founded the Center for Technology and Business in 1999. Her awards and honors include: “Top Innovator in Non-Profit Business”; Key to the City-Rugby, ND; “Outstanding Women’s Business Advocate”; “Outstanding Home-based Business Advocate (ND)”; and recognized as the very first “Woman of Honor”. She has served as a mentor to many students, entrepreneurs, and business owners. Today she is president of Black Gold Partners, LLC, a privately held limited liability corporation dealing in mineral and energy holdings. Davina French is the Government Affairs Officer for the North Dakota National Guard. She is a graduate from the University of Mary with a degree in Organizational Leadership. Davina is a veteran of Operation Desert Storm in 1991 and Operation Iraqi Freedom One in 2003-2004 where she was the company commander of the 957 Multi-Role Bridge Company and then assigned to the reconstruction of Iraq while serving as the United Nations Oil For Food manager for the Electricity Sector representing the Coalition Provisional Authority. Davina also served 2009-2010 on a Peacekeeping mission in Kosovo, her third overseas deployment. Her background includes 13 years as a police officer and juvenile corrections officer and 12 years as a consultant and training specialist. She has received numerous awards including North Dakota Legion of Merit, Bronze Star Medal (OIF I), Valorous Unit Citation, Joint Service Commendation Medal, Meritorious Service Medal (3), Army Commendation Medal (4), Army Achievement Medal (7), and Meritorious Unit Citation (2). Davina is also involved with the following membership organizations Big Brothers Big Sisters Board Member, Hugh O''Brien Youth Leadership Board, Lewis & Clark Foundation, Engineer Officer Association, Transportation Officer Association, and National Guard Officers Association. Twila Martin Kekahbah is a member of the Turtle Mountain Band of Chippewa and has served in a variety of distinguished roles throughout her career. Most notably, Twila was the first female to be seated as the head of Tribal Government for the Turtle Mountain Band of Chippewa Indians, serving three terms and leading the effort to recode Turtle Mountain Tribal Laws. She served as Director of Turtle Mountain Community College and was involved in the development of the American Indian Higher Education Consortium, later she served as project director in a capital construction campaign to construct a new campus for the college. Twila has also served as the Policy Analyst for the National Indian Health Board, Director of Tribal Analytic Institute at United Tribes Technical College, and Community Laison for the Northwest Area Foundation working to help communities reduce poverty across eight states. She was also a partner in Kashpaw Enterprises, an American Indian female-owned company which provided technical assistance to Tribes on project and business development, policy and procedures, fiscal accountability and management practices. She has visited over 34 countries with the majority of the visits sponsored by: the W.K. Kellogg Leadership Award; the U.S. State Department; the Phelps-Stokes Fund; the Ford Foundation Fellowship; the Rural Development Leadership Network; and, Oxfam. Currently Twila is an independent contractor where she writes proposals, reviews proposals specific to grant application requirements, conducts focus groups, and addresses research studies.